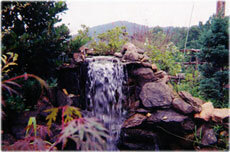 Mountain Waterfalls is a small private company that designs, builds, services waterfeatures. 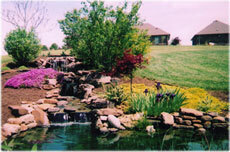 Each project is generally custom tailored to the landscape setting and the dreams and budget of the client. We have done work for city hall, for cemeteries, a college, waterfalls in front of offices, and for homeowners living in doublewides and elaborate projects in gated communities. 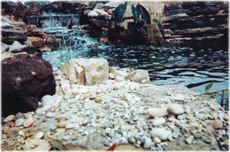 Artistic combining of stones, water and plants is the exciting but challenging part of waterfall and pond construction. Our skills at doing this masterfully have earned us three firsts in national competition, plus other honors. 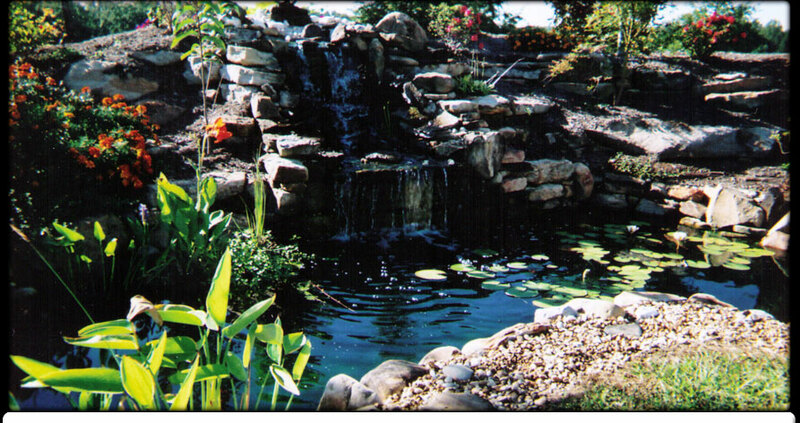 We'd love to create a masterpiece for you sometime soon using quality materials and loving craftsmanship, building the roaring waterfall or gently trickling stream of your dreams. May we hear from you? It just takes a minute to complete the Contact Us form.